Today we’re going to tackle another common interview question. Since I’ve recruited for quite a few retail and client-facing roles, this is actually a question I’ve asked many times… and I think it’s a really good one. Tell me about a time you went above and beyond for a customer? There are many roles out there where providing great customer service is a key element of the job. A Sales Associate role in a retail store or a Customer Service Representative for an ecommerce site are two logical examples. 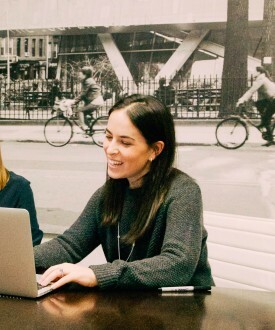 However, if you’re an Account Manager, Consultant, Trainer, or any profession where there is a client involved, being able to provide great service is non-negotiable. When it comes to serving customers, there’s bad service (we’ve all been there), good service (that’s the bar), and extraordinary service (what most companies strive for). While almost all good interview answers should include solid examples, it’s especially important when answering this question. If you’re truly someone who provides excellent customer service you should have many of examples of going above and beyond for a customer. If you aren’t it’s going to be tough to come up with just one. A few years ago when I was interviewing someone for a Sales role, I asked this exact question. The first candidate I interviewed responded by saying “I once helped a customer try on 10 different pairs of shoes.” This wasn’t exactly what I was looking for because well, bringing someone a bunch of shoes to try on is a basic requirement of the job. The next candidate I interviewed responded very differently. They told me a story about a customer who was looking to track down a discontinued product for their sick family member (because it was their favorite product and they had lost it). Instead of checking the systems, not finding it, and letting the customer know, they took it a step further. They called the corporate office, found the person who handled the product archives, and figured a way to get that product (that was many years old) to the client. Now that is above and beyond! 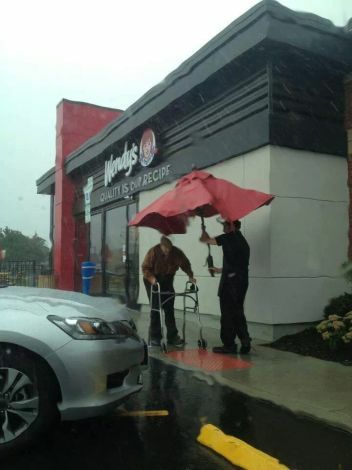 This article has 10 other examples that rival the one I just shared, including the story behind the photo below of a Wendy’s employee who took an umbrella from one of the outdoor tables and walked an elderly man to his car in the pouring rain. Emphasize that you often go above and beyond for customers… and it’s how you approach your job on a day-to-day basis. Then share a specific time when you really did something super helpful that was really outside of the normal call of duty. If you have two really good ones, share two! The most important thing is to prove to your interviewer that amazing customer/client service is a priority for you and something you feel is incredibly important. If they’re asking, trust me that this is what they’re looking for! 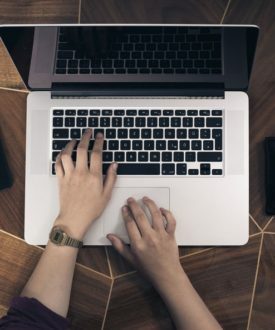 To check out our full section on common interview questions click here and if you’re currently getting ready for an interview, definitely check out our new interview prep online course as well. The first 2 lessons and course workbook are all available for free.